Buying the best treadmills can be the difficult task, especially if you are buying one for the first time. There are hundreds of options and there is No One Size Fits All solution. If you are facing trouble as well (OR – If you are facing this dilemma too), have a quick look at the Top Reviews of the best treadmills from experts who have 20+ years of experience in the health and fitness industry. However, before you purchase the best treadmill for your needs, you should understand advantages and disadvantages of exercising using a treadmill. We will have a look on the major aspects now. These are some of the best treadmills from Over 75 Brands in the market today. Go ahead! Find the right treadmill for your needs, today! 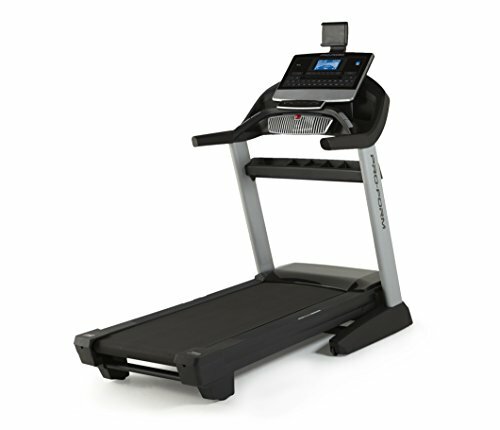 Here are the best treadmills for home use reviewed by Fitnesstep1’s expert’s team. Let’s take a look at individual treadmill model. LifeSpan TR3000i Folding Treadmill is one of the best and professional-quality treadmills you can get — if you have a high budget. We would definitely spend some more and get this power-packed yet compact treadmill if we were into athletics or dedicated walking/running. It’s not just about the hardware build, but also the functionality that made us love it. First of all, LifeSpan TR3000i Folding Treadmill is a folding treadmill. After use, you can fold the machine and keep it without consuming much space. We really loved the EZfold Technology. In a single action, you can fold the treadmill. The handles have been placed so ergonomically that you can feel the comfort while running or jogging. Unfolded dimensions of LifeSpan TR3000i Folding Treadmill are 71” x 33” x 56” but it gets down to 42” x 33” x 56” while folded. If it wasn’t for the design, we’d have loved the treadmill for the performance. LifeSpan TR3000i Folding Treadmill is using a 2.75 HP Continuous Duty DC Motor. It works well with speed changes. This is one of the reasons for its maximum user weight of 350 lbs. it has a running surface area of 20” x 56”, which we found suitable for jogging, walking and running. This treadmill supports up to 15 incline levels and the maximum speed you can get is 12 MPH. In short, the performance of this treadmill is impressive for all reasons. LifeSpan TR3000i Folding Treadmill has packed a bunch of features for extensive workout sessions. There are 21 pre-set exercise programs you can choose from. Using the Lifespan Bluetooth Adaptor, you can connect the equipment to Google Fit or Apple Health as well. We really loved the 6” Backlit LCD Display, which provides information on calories, distance, steps, heart rate, speed and incline level. Looking at the display will give an overview of your current workout level. Other notable features of LifeSpan TR3000i Folding Treadmill include the inbuilt 3-speed fan and USB Connectivity. Considering all these points, you have enough reasons to purchase the LifeSpan TR3000i Folding Treadmill. When you’re truly into fitness or athletics, this would be the best home treadmill to get. Are you looking for a budget-friendly treadmill with standard performance? Then, ProForm 505 CST Treadmill is a viable choice to go for. It’s competitively priced, but the features are amazing. While testing, we loved it for the additional set of features. On top of everything, you can fold ProForm 505 CST Treadmill for easier storage — after your running/walking sessions. It supports vertical folding option, which is a space-saver for sure. Despite the rugged build and features, we found it easy to fold the treadmill after use. Coming to the dimensions, they are 73.3” x 35.74” x 68.1”, but the folding makes it easier. It does not have the best ergonomics, but the included options are worth what you pay. ProForm 505 CST Treadmill goes ahead of its pricing when it comes to performance. 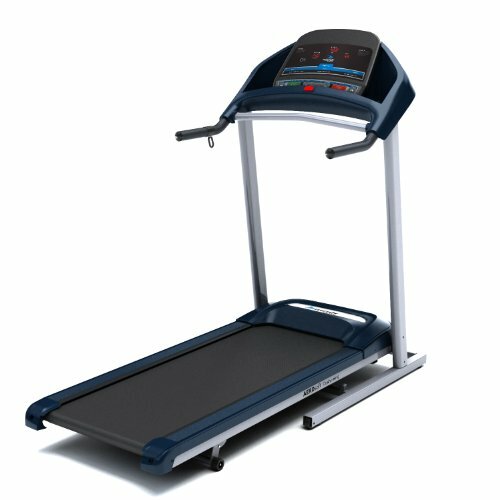 Using a 2.5CHP Mach Z Commercial Motor, this treadmill can provide you a maximum incline of 10% and a running speed of 10mph. Its tread belt has an area of 20” x 55” and we should say, we found it awesome for all purposes. When compared to other choices, the design gives a more open feel to the jogging experience. We had a good experience in the running experience, and ProShox Cushioning works like a charm. ProForm 505 CST Treadmill can withstand maximum user-weight of 325 lbs, although we hadn’t been to the maximum. Workout Selection is where ProForm 505 CST Treadmill excels than the other choices. There is an easier dashboard to pick one of the 18 Workout Apps. Let it be for calorie, intensity or speed, the machine has it all. Thanks to the bigger LCD-based display, almost all information is organized in the best manner. EKG Heart-Rate monitors are placed on its handles, making the tracking accurate and timely. You won’t have many options for data transfer for analysis. Still, there is plenty of room for accurate tracking. Another extra feature we loved is the dedicated music port for iPod. If the above statements attract you, you can go and purchase ProForm 505 CST Treadmill. We surely got more than what we expected from the price range. It performs well and has the best-compact design to offer. If you need a mid-budget solution, LifeSpan TR1200i Folding Treadmill is the best treadmill to purchase right now. It comes from LifeSpan, the same manufacturer of our top pick. You can expect the same quality and support for this treadmill too. In this equipment as well, you have the EZfold Technology, making it easy to fold the treadmill. You just have to lift that deck to make the equipment compact. When assembled, LifeSpan TR1200i Folding Treadmill has dimensions of 70.25” x 33” x 55”. At this size, we found the treadmill suitable for homes as well as small gyms. The tread belt is placed well and we get a comfortable feel while jogging. There is a 2.5HP Continuous Duty motor to power LifeSpan TR1200i Folding Treadmill. With this performance, it is quite capable of managing the 20” x 56” running surface. The compression shock absorbers are something we loved. Once again, like the top-pick selection, LifeSpan TR1200i Folding Treadmill has a bunch of options in programming. You have the same 21 types of programs, but there’s USB Connectivity — if you wanted to share the data. Also, the built-in safety options are Intelli-Step and Intelli-Key. Altogether, the performance and tracking of the treadmill were up to the mark. By the way, the maximum speed is 11mph. Go for LifeSpan TR1200i Folding Treadmill if you need a mid-budget yet high-end treadmill, along with multiple workouts. In this position, we have an expensive product from ProForm. You should be going for ProForm Pro 2000 Treadmill if you are looking for ultra-high performance and advanced workout options. Design-wise, the treadmill resembles the best-buy pick. For instance, there is SpaceSaver Design with folding capacities and the well-placed handles. You can also use its 2X Incline for enhanced performance in the long run. With the dimensions of 72.22” x 33.87” x 57.1″ and the rugged-built body, ProForm Pro 2000 Treadmill is one of the impressive choices in terms of quality. And, that’s not all. There is a beefy 3.5HP Motor to power ProForm Pro 2000 Treadmill, which is suited for all types of treadmill-based work-outs. Thanks to the ProShox Lite Cushioning Deck, we found even the tedious workout sessions a bit more relaxing. Also, the electronic controls make Speed Shifts easier for all. The maximum speed you can attain is 12 mph and there is up to 15% incline that is achievable. Moreover, ProForm Pro 2000 Treadmill supports -3% decline too. Coming to track, this treadmill is quite innovative. Instead of watching movies or anything, the screen will show you a realistic route display via Google Maps or others. Working out using the iFit technology is an awesome feeling, for sure. ProForm Pro 2000 Treadmill is the best choice if you can spend more for advanced control and extra performance. This folding treadmill from Sole is perhaps the most expensive choice in the list. Because it has the folding design, you can save a lot of space. With the assembled dimensions of 35” x 58” x 80”, Sole Fitness F80 Folding Treadmill is pretty huge. But, Sole hasn’t compromised any aspect of build or quality. So, whether you are weighing 150 lbs or 250 lbs, you can feel the same comfort of jogging and walk on this treadmill. The running surface area is 20” x 60” and that’s the best level you can expect for running and vigorous exercises. 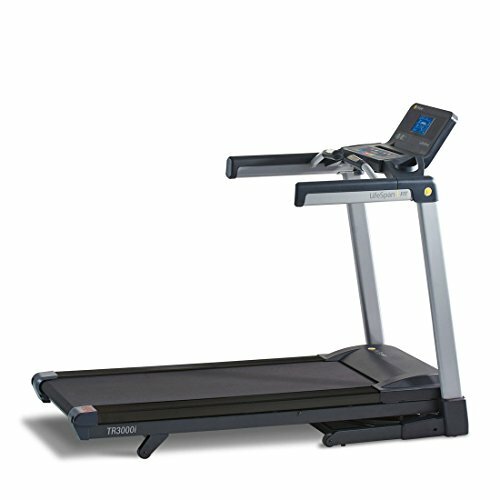 Sole has used a 3.5CHP DC Type Motor for running Sole Fitness F80 Folding Treadmill. With the maximum running speed of 12mph and up to 15% of incline, you can customize the treadmill according to your exercise intensity. These features work well with the broader running surface we mentioned. Also, there are 6 standard programs, 2 customizable programs and 2 heart-rate programs with the treadmill. You also have the support of cooling fans and the sound system. In fact, the 7.5” display of Sole Fitness F80 Folding Treadmill is best in class. We must say, we had proper control over the workouts using the fully-fledged dashboards. Go for Sole Fitness F80 Folding Treadmill if you are looking for advanced performance and fully-fledged tracking options. Of course, there are the perks of premium build and extra features like cooling fans. Are you sticking to the budget-friendly category for the next treadmill? If so, Horizon Fitness T101-04 Treadmill is a better option you can try. You would be surprised if you judge this treadmill according to the budget expectations. Although it’s total dimensions of 70” x 33.5” x 55”, you can fold and bring it to just 45.5” x 33.5” x 61”. That’s something we loved at its given price range. Also, you can use the 10% incline for intensive workout sessions. Variable Response Cushioning and its extra features are useful when you need the best build and portability alike. Horizon Fitness T101-04 Treadmill makes use of a 2.25 Continuous Duty CHP Motor, which is incredibly quiet. It has a user-weight capacity of 300lbs, but you can attain a maximum speed of 10mph. Our testing involved people who were around 270lbs, and the results were impressive. Thanks to the 20” x 55” running area, there is enough space for stretching. And, needless to say, we got lesser joint injuries. Coming to the workout section, you can choose one of the 30 different pre-set options. These can be subdivided into Step-Goal, Distance-based, Calorie-based and Interval workouts. Pulse-grip heart-rate monitoring seems effective and accurate for most times. Horizon Fitness T101-04 Treadmill should be an optimal choice if you prefer better performance, lower noise, and a quite-affordable price tag. These things don’t often come together, you know. With another budget-friendly treadmill, we are going to end our list of best treadmills in the market. Merit Fitness 715T Plus Treadmill is the most affordable treadmill equipment in the list, but not the least. It comes with standard options and design and has a folding frame for better management. The actual dimensions are 29” x 52” x 61” but we think the working area of 18”x47” is a bit lower for running purposes. That having said, our walking and jogging sessions were perfectly fine with this equipment. Also, depending on the price tag, the sturdiness of handles is awesome. There is a 1.5CHP Drive Motor in Merit Fitness 715T Plus Treadmill, which is not so powerful. However, we found it okay for day-to-day walking and jogging exercises. It allows manual incline, which can go up to 5% and the maximum speed has been limited to 10mph. However, the Aerosoft Cushioning system is way too powerful for the comfortable jogging. It also has a 3-window LED Display, which you can use for tracking Time, Speed, Distance, Calories etc. Nevertheless, on an overall basis, we won’t call the design usable. But, the standard features are offered in different aspects. Summing up, Merit Fitness 715T Plus Treadmill makes enough sense as a budget-friendly treadmill. Don’t expect any kind of fancy features here. Even so, the product serves well home-exercise needs. Most people may not have enough time and space to go out and do their running/jogging exercises. And, there are times like monsoon and winter where you can’t go out. Treadmills were invented as a method for simulating the running/jogging experience, right at your home. Today, these machines are used as intense exercise machines, for both residential and commercial purposes. If you check the nearest gym, you will surely spot a number of treadmills in the area. There is tread belt in each of this equipment, which is moved using the electric motor. The user will have to move according to an actual speed of the treadmill. It gives a feeling of walking and running for the customer, in many aspects. Treadmills are available in different pricing plans and categories. When you go towards the premium budget, additional features like tracking and incline are added. At the same time, there are ultra-affordable choices in the market. Here are the best treadmills (for home and commercial use) reviewed by Fitnesstep1’s expert’s team. Let’s take a look at individual treadmill model. You can run anytime and every time. It does not matter whether it’s sunny or raining outside. You can simulate a truly dynamic running experience with the right treadmill for your needs. If you are living in an apartment in one busy city, this is one of the reasons to use treadmills. When compared to the actual process of running, treadmills are less impactful. Although you are running, you will not feel much tension on the body. At the same time, the proper exercise will be happening. To get this done, you need to have one of the rugged-build machines, though. Customizability is another aspect to be noted. Once you have bought a treadmill, you’re not restricted to walking. In fact, you can choose the desired speed from the machine and do according to your body and metabolism. Most treadmills come with advanced tracking options, including those for heart-rate monitoring. You can not only work out well but also find how these exercises are impacting your body — real-time. And, if you go behind one trusted brand, you can even exchange tracking information. Of course, you will miss the real-world experience. With the cooling fans and other features and the comfort of your room, a treadmill won’t seem like real-running. In the course of time, you may find it boring. But, you can fix it by customizing workout programs and seeking the help of music and all. Treadmills may have a negative effect on your joints. This is one of the major concerns. However, manufacturers are now using different compression shock absorption methods to minimize these effects. So, these are the two aspects you should know before using a treadmill for your daily exercise needs. Now, we will have a look at the top factors that affect your treadmill purchase. Just keep these things in your mind before you hit the Check Out button. When you are purchasing the treadmill for home use, you should give top-priority for the size. It’s better if you can take the measurements of the storage room first. Then, depending on those measurements and your height, you should select the best treadmill in the market. There are a few sub-factors that determine the actual size and bulkiness of the treadmill options. For instance, if you need a fully-fledged LCD display with a lot of controls, you can expect the increase in total size of everything. Similarly, the extra features like cooling fans also may play an important role. This really depends on what you are using the treadmills for. If you are using it for walking, even small areas would be sufficient. However, if you are into some intensive running workouts, the story is different. In fact, you have to go for the broadest working surface in that case. Suppose you are an athlete who is using the treadmill for daily exercise. in such a situation, it’s better to go broader. In this aspect too, there are many deciding factors. Of course, the major factor is the motor in use. Motors of treadmills are measured in Horse Power, which is common. As you might have noticed in our reviews, the top-pick has a performance of 2.75HP, which seemed okay for most of our testers. At the same time, there are 3HP motors that didn’t perform well. Ultimately, it’s about the build quality and user-weight. For instance, if you have a weight around 170lbs and you are trying for intensive exercises, the 2.5HP motor may go down. Summing up, you should make the selection depending on your weight, motor specifications and the build quality. These two features are commonly seen in most treadmills around. Coming to speed controls, you can get up to 12mph in the pricier models. However, if you can stick onto the budget-friendly ones, you will have around 10mph. as you can guess, it’s not just about the speed, but more about the execution as well. There is no point in having 12mph speed if the work-out session does not feel dynamic. Same is the case with the incline. The incline is something that can make your workouts more challenging and intensive. Most treadmills have an automated incline management, right from the dashboard. In some of the best-buy models, however, you will have to adjust the incline by yourself. Programming is a way to exercise well if you are new to it. Every treadmill exercise will have a different focus every time. Some may focus on the calorie burning, while some let you increase the speed. If you don’t know what to choose, you’d be going with the programming models. This way, you can simply click on a button to launch the particular mode of work out. Coming to the extra features, there are a lot, actually. For instance, you can have a cooling fan or a music system. The main intention is to make your workouts more enjoyable and less tiring. Last but not least, you can consider the pricing. In our list, you can find both the high-end and budget-friendly models in the same way. The selection is simple and should be based on your needs of treadmill exercise. To take an example, you should not be getting the high-end models if you are completely new to these exercises. In fact, you should go according to your growth in the intensity aspects. Trust us when we say that, you will find the differences soon. Yeah, that’s how you choose the best treadmill for your need. Now that you have decided to purchase one of the finest treadmills for your needs, you should know a bit more about the different kinds of exercises you can do with them. It should be dependent on your level as a professional or as a common user. We will have a look on some workout tips for both beginners and advanced users now. For beginners, the first tip is to have gradual growth. It’s not like you are going to attain all the speeds by the single day. It should take not just days but weeks to increase the speed of the treadmills. It’s a fact that your treadmill may have the maximum speed of 11mph or 12mph. You don’t necessarily have to try that maximum speed. They are for extensive users like athletes or professional walkers. Also, you should use the hand-rails while using the treadmill, especially during your first weeks or months. In the course of time, you may get enough experience to use the mill without the support. But, if you are starting up, it’s necessary to use the support. Another tip is to use the pre-programmed treadmill exercises. For instance, if you want to increase your speed, you can choose one mode. Another one may help you increase your stamina with the help of incline. Advanced Users should get the best performance from the treadmill they have purchased. Also, you should be purchasing one of the most effective and feature-rich treadmills you should get. It’s okay to spend a little more because it’s a worthwhile investment for the long run. In addition, it’s good to make use of inclines and the speed boost technology. It’s like creating as much sweat as you can. Another advantage of going for advanced treadmills is that you get a customizable set of controls and workouts. For instance, depending on your requirement of exercise, you can create a unique exercise level. To sum up, the method is to sweat, sweat and sweat — for the best workout you can do. These are the conclusions we found at UpHomes Labs after hours of research and days of testing. We are confident about not only the products recommended, as well as the consideration aspects. Also, before purchasing the right treadmill, you should know about the advantages and disadvantages. For instance, suppose you have some problems with your joints. Then, it’s recommended to visit your therapist before simply choosing one. In that case, you may be recommended to use one treadmill with advanced shock absorption. Similarly, using of incline should also be subjected to discussion. Let’s keep these things apart, it’s good to have one of the aforementioned products for a smart home. It does not matter whether you are a young professional or a retired veteran, these devices will help you keep yourself safe and healthy. After all, you should not stop exercising just because you can’t go out or because it’s raining outside. Buying a treadmill can be difficult task, especially if you are buying one for the first time. There are hundreds of options and there is No One Size Fits All solution. If you are facing trouble as well (OR - If you are facing this dilemma too), have a quick look at the Top Reviews of the best treadmills from experts who have 20+ years of experience in the health and fitness industry. These are some of the best treadmills for home use from Over 75 Brands in the market today. In terms of ease of running, a treadmill is much easier to run on than when running outside. It is also safer on your joints compared to when running outdoors. This is because most treadmills usually come with shock absorption hence there is less impact on your body compared to when you run outside. Moreover, when on a treadmill, the moving belt helps making running much easier and you do not have to work against wind resistance. However, most treadmills come with the ability to incline. So if you want to mimic the conditions on the road, try setting the inclination at 1 or 2 percent. Many different factors different factors affect the number of calories you burn both on the treadmill and on the roads. However, it is safe to assume that outdoor running is much more vigorous hence you burn more calories. I have a race coming up pretty soon. Can I trust a treadmill for practice? For anyone who runs, treadmill is the best equipment to simulate conditions similar to those on the road. However, running on the treadmill alone will not cut it. You have to prepare for outdoor racing since the conditions are a bit harsh compared to treadmill running. To do this, every once in a while tweak the inclination of your treadmill. Also, incorporate weight lifting into your training routine to strengthen your body fully. Do not forget to take a few outdoor runs every now and then to expose yourself to the real conditions of outdoor running. I want a treadmill for walking and jogging. Is there a difference between one for running? 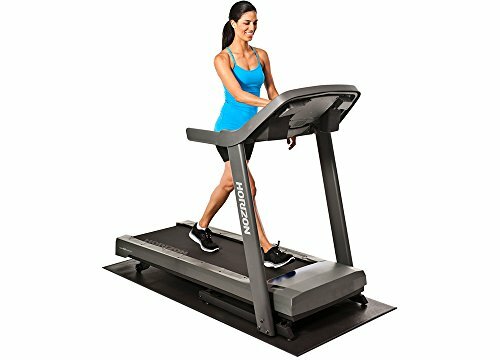 There is a difference between running and waling treadmill in that a running treadmill should have a larger horsepower otherwise it will be overworking the motor which usually leads to it blowing. So, if you are buying a running motor, go for one with a continuous horsepower of 2 and above. Also, factor in the size of your treadmill. A running treadmill should be longer and wider otherwise you will be too uncomfortable on it. Go for one with a deck no smaller than 7 feet long and 3 feet wide. The speed of the treadmill also tell you whether it is for running or jogging. In most cases, if you want a running treadmill, go for one with a speed between 8 and 12 miles per hour. Lower than this is ideal for walking and jogging. I should also mention that most treadmills usually come with labels. Read through to know what your treadmill is for before buying. Going for one that is designed for both running and jogging is the most versatile solution. 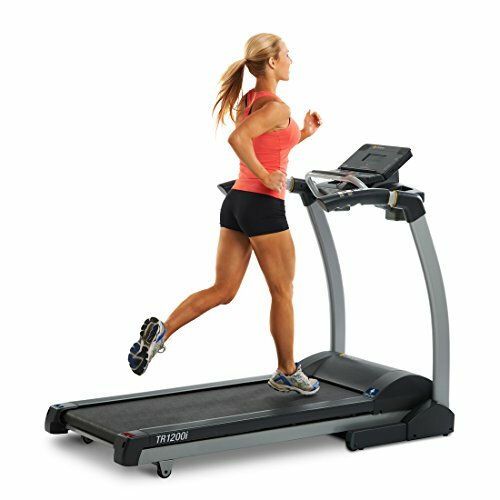 What is the difference between a manual and an electric treadmill? Which one should I buy? 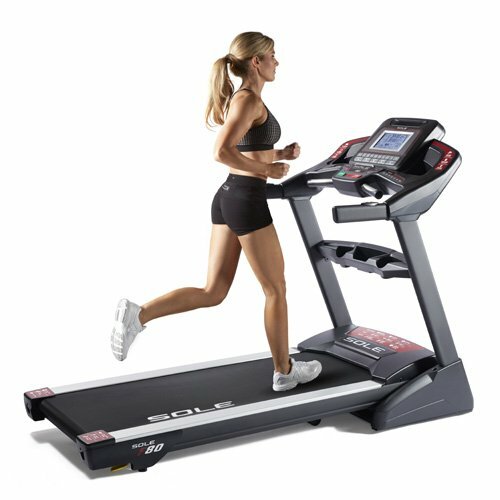 Electric treadmills are those whose motors are powered by electricity while manual ones are powered by the running action of the user. A motorized or electric treadmill allows you to workout at a steady speed hence be able to gauge the performance of your workout. For this reason, your heart rate and calories burnt are also very easily calculated when on an electric treadmill. A manual treadmill come s with the advantage of being very cheap compared to an electric one. Otherwise, they are not the best for a serious runner since the belt is driven by your running meaning if you slow down, the belt does the same. This denies you the perks of a steady workout. Moreover, a manual treadmill can be quite rough on your joints since it does not absorb shock. So, unless you are really short on money, I would suggest staying away from manual treadmills. Is running on a treadmill safe? Treadmills like another gym equipment require proper and careful use for you to avoid any injuries. If you set the speed at a level that your body can handle and increase it gradually, then you have nothing to worry about in terms of being thrown off. When it comes to the health of your joints, I would say that there are safer alternatives for cardio workouts such as an elliptical machine. This mostly applies to individuals with joint issues. On the other hand, treadmills are much safer than running outdoor when it comes to joint health as most are able to absorb shock. The best way to avoid any injuries while on treadmill is to use it with moderation. Do not spend all your time on it. Make it your main cardio equipment but give other equipment a chance. Maintaining your treadmill is pretty simple. It mostly revolves around the treadmill belt. To make your treadmill last longer and operate smoothly, ensure you lubricate the belt every now and then. Also, tighten the running belt and clean under the treadmill as well as the mats. 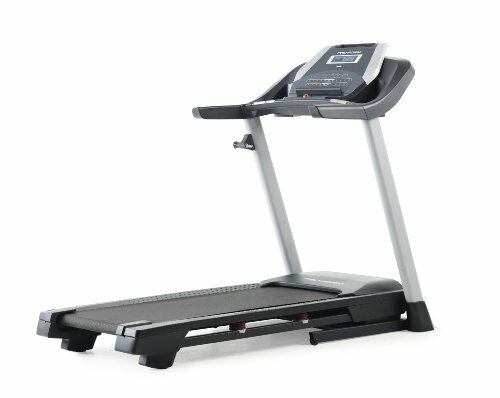 Is there a difference between cheap and very expensive treadmills? While you are encouraged to buy a treadmill within your budget, the most important factors to consider are the motor and the frame. The motor should have a high enough horsepower for whatever activity you require to use it for. In most cases, very cheap treadmills usually come with flimsy frames and poor motors which may affect your workout quality. High-end treadmills on the other hand usually come with unnecessary functions and programs that you might not even use. My advice would be to go for a motor with a price tag between $900 and $3000. Also, read the internet to find out what other users are saying about a given treadmill. This will save you time and money. How do I chose a treadmill depending on the motor and horsepower? Also, what is the difference between peak and continuous horsepower? Peak horsepower is the normal performance of the motor when it is not in use (without any load). This means that your weight is not factored in when calculating the horsepower of the treadmill. On the other hand, continuous horsepower is the power the motor will create when being used meaning that it factors in the load. Without a doubt, the continuous motor is better preferred to the peak motor. Go for a continuous motor with a horsepower between 1.75 and 2. This will ensure that even obese and heavy people get to use it. If you are buying a home treadmill, make sure it has a DC motor as it is much quitter compared to an AC one. How do I chose the belt in my treadmill? There are usually two types of belts when it comes to treadmills. One-ply and two-ply. Two-ply belts last longer and are less susceptible to wear and tear when compared to one-ply belts. In the short run one-ply belts are less expensive but since they need to be replaced more often than two-ply, they may be expensive in the long run. Also, when going for a treadmill belt, make sure you get one with ample cushioning to reduce the impact on your joints. I own a small apartment does this mean that I cannot own a treadmill? Absolutely no. treadmills nowadays come with the ability to fold up hence saving on space. Just look for one that can fold and store it away after use.